After locking the female user market and creating the L925 and L525 products, DOOV Duowei mobile phone has no big moves since the second half of last year. In twentieth, 2019 has passed, and Duowei mobile phone finally brought this year’s first new work, and before. The product style is completely different, and the D1 is officially launched. The machine is built with dual fingerprint unlock, users can opt to use the back scanner or the screen scanner with their finger. Both work fast and quick in less that 5 seconds. Emphasize that D1 is different from previous products. There are several reasons. First, the price of Doov D1 is more close to the people, in other words, it is more cost-effective. Second, Doov D1 no longer emphasizes the female users and becomes More neutral. In terms of appearance, Duowei D1 did not bring enough innovation, but there have been significant changes in comparison with previous generations. Its back is made of gradient + glare, which is also a very popular back shell treatment, with purple and blue color version, the body thickness is only 7.1mm. In addition, D1 is also the first product of Doov to come with a water drop screen design. It is equipped with a 6.2-inch HD+ resolution display, which accounts for 91.2% (official data). The basic parameters and functions of Duowei D1 are also very mainstream. It is equipped with MTK octa-core processor, which may be one of Helio P23 or P22. The memory has 3+32G and 4+64G options. 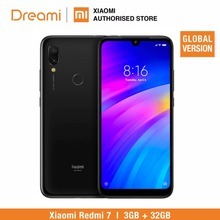 Equipped with 16 million pixel rear dual camera and 8 megapixel self-shooting camera and 4000mAh battery, it supports full Netcom, fingerprint/infrared face double recognition and WeChat multi-opening. On the platform of Tmall and Jingdong, Duowei D1 has started to sell online. The 32G version of the machine is priced at 599 yuan, and 4+64G is only 699 yuan. Kenxinda K30 with Face Unlock, Dual Corning Gorilla Glass finally arrives! Next articleOppo Realme 3 Vs Redmi Note 7 Pro: Which One To Buy?